Georgia for over 40 years. We take an aggressive approach to representing our clients in any type of injury case, and willing to go to trial to get the highest reward possible. If a medical practitioner has worsened your condition, we offer ethical representation to assist you and your family. We’ll help you navigate the confusing process of applying for Social Security and Disability to make sure you get the fastest result available to you. Cars, Trucks, Trains, Boats and more, if you get injured in a motor vehicle accident, we provide aggressive and experienced representation that will fight hard for you. Signs of nursing home abuse can be subtle, but if you suspect your loved has been mistreated, we will help you take the proper action. On the job injuries can create a difficult situation of you and your family. We will guide you in making the best decisions for you, not your employer. Caring. Experienced. Fighting for You. Our clients trust that we will take care of them and promptly respond to their questions and concerns. We are known throughout the community as attorneys who truly care about both our clients and our neighbors; each partner is involved in civic and charitable affairs. We work as a team, using our more than 75 years of combined experience to seek the best possible outcomes for clients. We know how to maximize the recovery, minimize liens and put the most net dollars in your pocket. We focus on providing excellent client service, characterized by frequent and ongoing communication about the progress of your case. We give you the information you need to make decisions. We believe that client contact is critical; you will meet with your attorney at all times, not a paralegal or secretary. 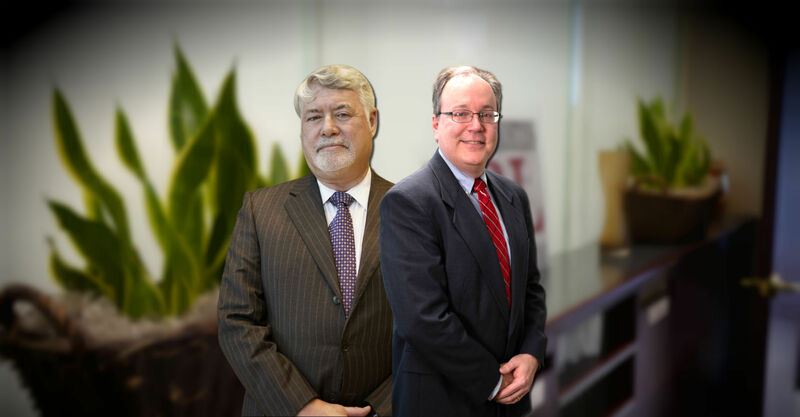 Known as “The People’s Lawyer”, Russell has built a solid reputation over the last 40 years as an outstanding trial attorney who specializes in catastrophic injuries, and takes an aggressive approach to each case. Navigating the complex process of Social Security and Disability, David takes a straightforward approach to each case, communicating with his clients each step of the way. With a deep knowledge of Workers’ Compensation, David is able to understand complex cases and develop a strategy for successful outcomes. Call us 24/7 at 866-294-6972 or fill out the form below to receive a free and confidential initial consultation. The Boston Law Firm in Macon, Georgia, handles injury cases across the state and locally. We are known for our attention to client needs and concerns and our willingness to answer questions for clients wondering how they will pay their medical bills or care for their families when they are unable to work. Whether you were injured in a car crash or hurt on the job, our goal is always the same: to maximize your recovery and obtain the benefits you need to heal as fully as possible. We work as a team, using our more than 75 years of combined experience to seek the best possible outcomes for clients. We know how to maximize the recovery, minimize liens and put the most net dollars in your pocket. At The Boston Law Firm, our lawyers have a strong record of accomplishment helping injured people receive the financial resources they need and deserve. We are always prepared to go to court or mediate a settlement when fighting for a client’s rights.